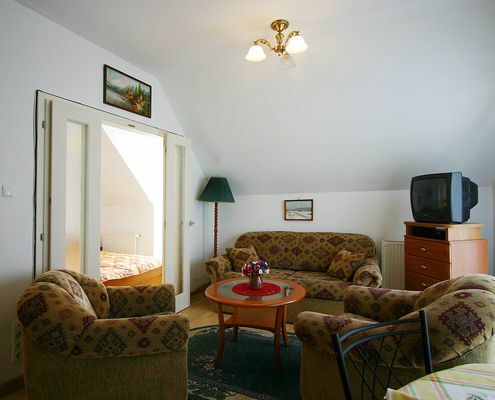 The Fortuna Apartementhouse is situated in Hévíz / Hungary, 800 m far from Europe's largest thermal water lake. It has 1, ca. 50 m² large apartement on high hotel standard, which is an ideal choice for all, who look for accommodation of high quality with optimal situation for an unbeatable price. The prices include the following services: accommodation in 50 m2 large apartement, local tax, VAT, parking. 2-4 persons can be accommodated, bathrooms with bathtube, satellite television, well-equipped kitchen (kitchenette, fridge, stove, coffe maker) and parking facilities make your vacation more comfortable.